Today’s hockey players are becoming bigger, stronger and faster while becoming more fit than they were in years past. In addition to participating in other sports, young players also are participating in strength and conditioning programs either at their school, with their team, or with private training companies that are in the communities. Strength and conditioning coaches and personal trainers for youth sports have gone from almost unheard of to a common necessity. The business has expanded so much that there are now several training facilities within most cities. Make sure that the trainer(s) has a degree from a four-year college or university. A master’s degree would be a plus. Preferably, their degree is in Exercise Science, Kinesiology, Biomechanics, or another major related to Exercise and or Sports Medicine. Make sure that the trainer is certified by a reputable certification agency. For Strength and Conditioning Coaches or Personal Trainers who work with hockey players, the Certified Strength and Conditioning Coach (C.S.C.S) certification from the National Strength and Conditioning Association (NSCA) is probably the most reputable certification. Another good certification is any certification provided by the National Academy of Sports Medicine (N.A.S.M.). Ask for testimonials and/or references from athletes that they have coached. They should be able to provide current or past testimonials from people who have trained with them. If they can’t provide you with any testimonials, ask for references. If they can’t give you any references, find another trainer. Also, make sure that the trainer actually trained and worked with an athlete whom they say they have. Don’t get caught up in the “bells and whistles” about the facility. 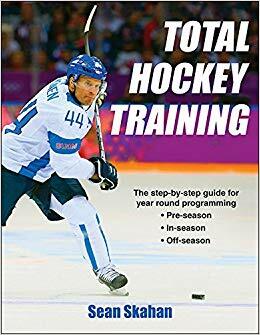 Most of the good strength and conditioning coaches and personal trainers out there can get results without the high-tech equipment that might be considered “hockey-specific”. Also, they might not need a large facility the size of a Wal-Mart. In today’s world, it is easy for anyone to get a personal training certification from a non-reputable source and then partner up with someone with a lot of money and start up a sports training business. I always prefer an individual or company that started out with close to nothing and then grew their business by getting positive results from their athletes and clients. As a parent who is paying for the child to participate in a strength and conditioning program, you must do your homework when trying to choose one. Hopefully these guidelines and recommendations will help you make the right decision. Great points, in general it amazes me that coaches of youth, JR and high school age sports require little to no sports education or background.